Most of the bugs that occured usually fixed in the newest version, so it’s a good idea to update WordPress, plugin, and theme regularly. 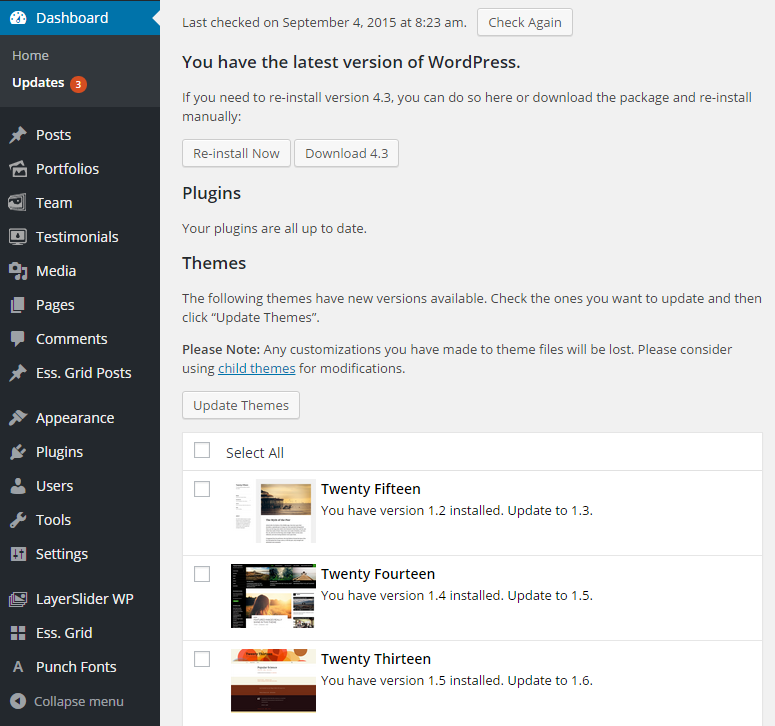 You can check for the newest update available on the Update menu on your WordPress dashboard sidebar. If after updating the theme, wordpress, and plugins the problem still occurs, you can purge the cache and deactivate the cache plugin. It’s a good practice to clear your browser’s cache regularly. These steps are to check if there’s any of the plugins or the theme is incompatible. If you managed to identify the source of the problem, contact our support center with the informations of : name of the plugin that caused the problem and the information where and how the problem occurs. If you’re still experiencing a problem you can contact our Support Center and let us know what steps above you’ve taken.